Recent Developments of Natesan Institute of Coop. Management (NICM, Chennai) is been highly appreciated and it is a model for developing training units in the country. 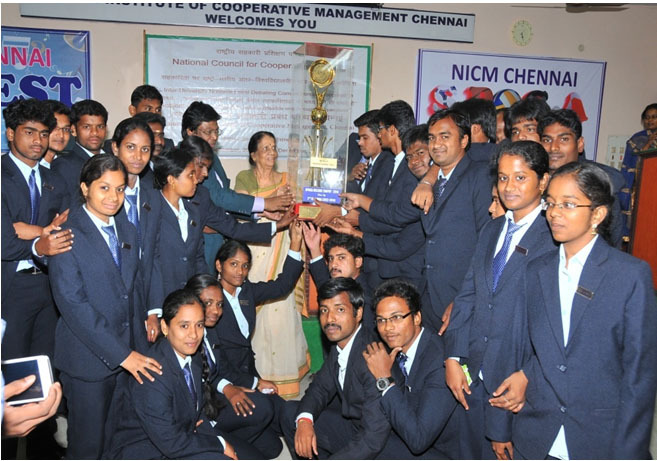 In the short span of time NICM, Chennai has achieved outstanding rating as center for Human Resource Development. Natesan Institute of Coop. Management is one among the 19 Premier Institutes run by the National Council for Cooperative Training (NCCT – New Delhi), with financial assistance from the Ministry of Agriculture. Department of Cooperation, Government of India. The policy of NCCT is to organize training programmes for the personnel working in cooperative sectors with an objective to upgrade their skills and abilities for achieving excellence in cooperative management and administration. Under the aegis of NCCT, the NICM. Chennai was established in 1954. Diplomas and Management Development Programmes. Extending hospitality on every cycle (Treatment) – Water bottle/toilet kits provided to trainee participants. 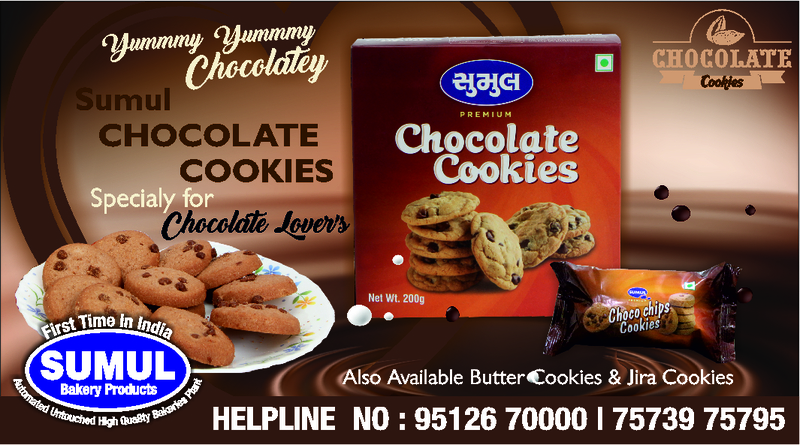 Institute ensures hygiene, good and taste food to all the trainee participants and students as well. Air conditioned and non A.C class rooms with neat and clean environment. Conducting Entry test, Exist Test and providing training kit which contains pad, pen and reading materials. One Day rich and hygiene International Standard lunch is offered to trainee officers at New A.C. Buffet Hall. Management Game : One goal and one chocolate, Yoga, Case Study Method, Role Play Method, Group Discussion Method, Brain Storming Method, Power Point Presentation Method, Video clipping Method, Nutrition, Inviting Experts from various fields, Sports and Games, Unique Stress Realizing Games, Live Demonstration Classes – Disaster Management. 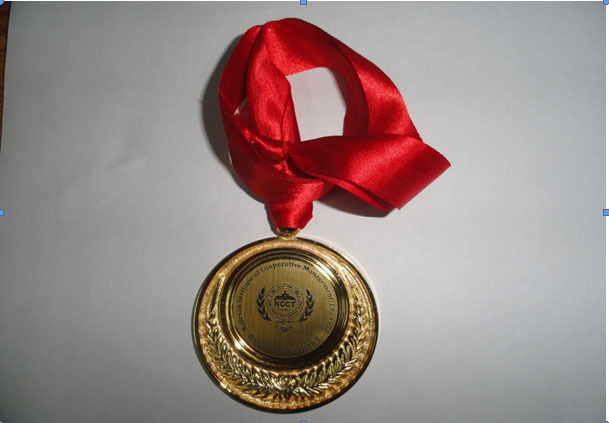 Such participant will be awarded Gold Medal on the Valedictory function of the Programme. 1.Cuddalore, 2.Kancheepuram, 3.Tiruvarur, 4.Thanjavur, 5.Theni, 6.Salem, 7.Erode, 8.Karur, 9.Nagapattinam, 10.Nilgiris, 11.Nammakal, 12.Thiruvallur, 13.Chennai – ongoing project. II.State Planning Commission (SPC) Project – On going. Before joining of the Director, MBA TANCET ranking was 105th In 2013-14 it was a drastic change for 5th rank among all the institution in Tamil Nadu at TANCET Counseling. Thanks to our Director for introducing a new business venture for the students to develop the entrepreneurial qualities. Under this venture the total students have been divide into 4 groups and each group has been provided with Rs.10,000 at the beginning of the year. The students group are asked to start any venture and run it successfully and earn profit so as to repay the principle with interest which is charged at the bank rate. All the groups have successfully ventured and earned profit at the end of the year. The institute organized Guest Talk on important topic by eminent speakers once in every two months. Like CEO from Bharat Matrimony, CEO from Coco Cola India, and CFO from Sri-Ram Finance and so on. The students were taken to leading companies for Industrial Visit to know the real life functioning of companies. Readers Club is organized and the students were asked to present the latest development and current topics every Friday so as to develop the skills of reading and presentation. The students of our institute participated in various management and business events and won prizes. Scholarship is arranged for the students. Maximum up to Rs 52,000/- is given as scholarship. Last but not least Sports is given major emphasis so as to develop their physical fitness. Class rooms with Ordinary class rooms with damaged ceiling, broken tables & chairs are converted into world class standard like, Dr. J.A. 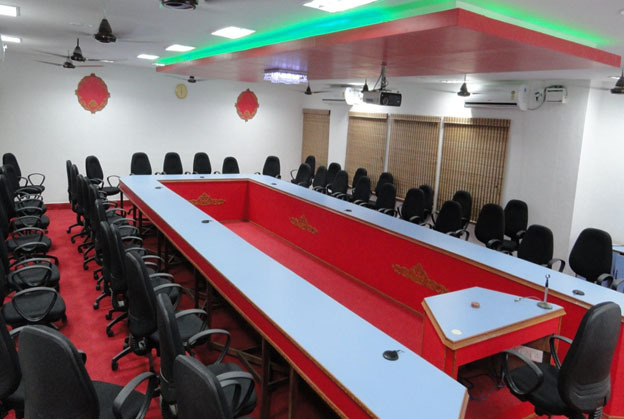 Hall A/C with video conferencing and latest Audio and Video system, E-chamber fully modernized MBA Block with one A/C Class room and another non-A/C with 60 student’s capacity, MBA e-Admin Section. NICM Staff & Students Cooperative Stores is running successfully to support staff and students in regard of stationary purchase, grocery purchase, mobile recharge facilities and etc. 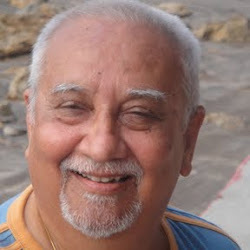 NICM Health Center is created, in connection to this Dr Bhageerathi, MBBS, DCH is associated. 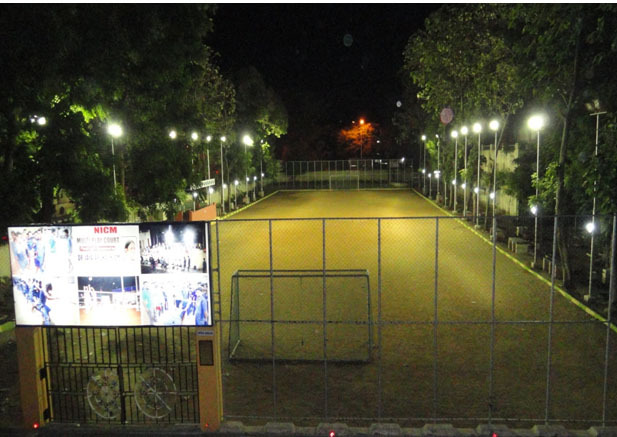 On account of “Health is Wealth” sports and games a Flood light Multi play court is built, Kabbadi Flood light court, flood light shuttle badminton court and a separate lounge is created for Chess & Carrom. SPOGA & CULFEST trophies are introduced to boost the trainee officers and students to support health. To maintain Body Fitness NICM has Created NICM gym. In connection ACABC course, four projects have development like NICM ACABC Pisciculture, NICM ACABC Vermiculture, NICM ACABC Mushroom Unit, NICM ACABC Vegetable garden. Even though NICM is having limited man power and money, it has achieved in a tremendous manner. The cost strategy is “Zero Cost Budgeting”, i.e. NICM has not given to any contractor for the recent infrastructure developments. Everything is done, is based on labour cost and our direct presences. Therefore all the Credit goes to NICM team.